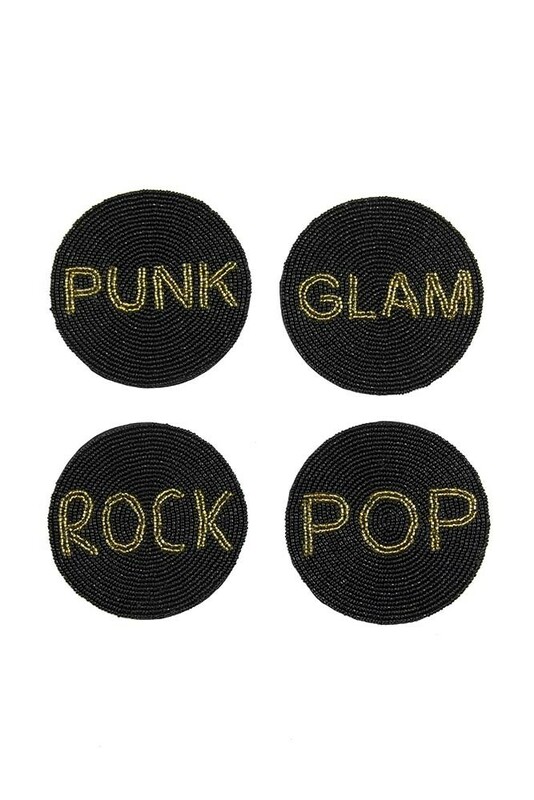 Rock, Pop, Glam & Punk! A brilliantly beaded set of 4 decorative coasters that will add sass, glamour and style to your side tables, coffee tables and bedside tables, you will love these unique coasters. 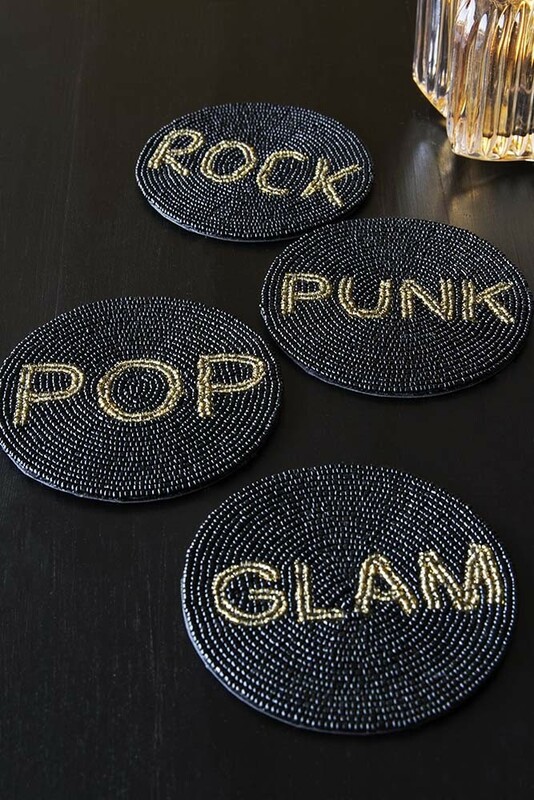 Perfect for protecting your surfaces as well as looking super eye catching the Set of 4 Beaded Coasters feature black beading with gold beaded letters saying ‘Rock, Pop, Glam & Punk’.